Many people are cheered by a bright, sunny day, but the effect of all that sunlight on the eyes is a less sunny proposition. UV and glare can create a variety of issues, from dangerous "snowblindness" to irreversible disorders that threaten your eyesight. Visit our Sunglass Cove at either of our locations to find a wide selection of designer solutions to these problems. 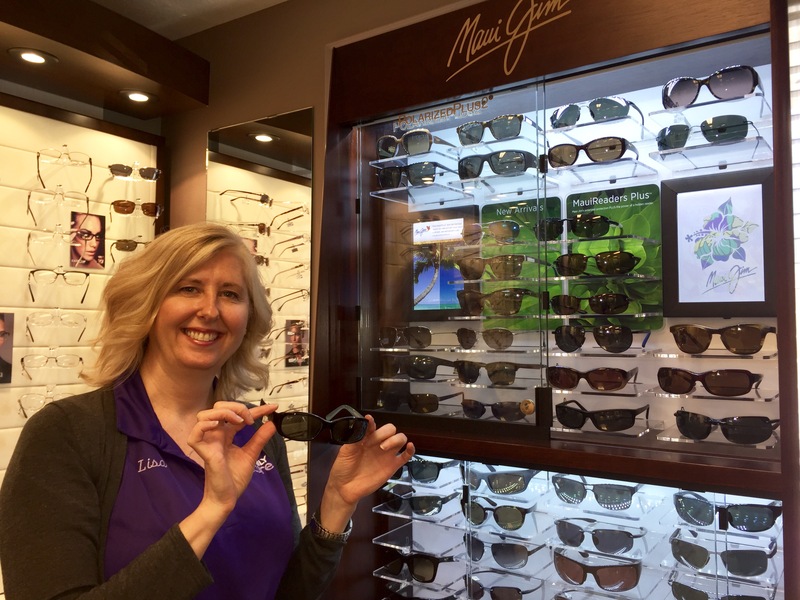 With brand names such as Maui Jim, Oakley, Coach, RayBan, Zeal and many others, there is something for everyone. Here are some frequently asked questions about the role of sunglasses in protecting the eyes from harm. If you want to know more about choosing the right sunglasses, call us at 519-426-0415 or 519-583-2020 today. What colour tint is the best choice? Personal preference often guides tint selection. Trying on sunglasses and experiencing the vision differences can you help you decide. Different tints enhance your colour perception differently and our staff can recommend the right tint for lifestyle and your extra curricular activites. Sunglass lenses are available specifically for golf, biking or running. What types of glasses can I choose from? We are able to provide you with a wide range of sunglass options. If you normally wear glasses to correct your eyesight, you may be happy with a non-prescription pair of clip-ons or wraparound glasses that simply fit over your lenses. If you'd rather not wear that much equipment on your head all at once, you can order a pair of prescription "shades," or you can order photochromatic lenses that darken when exposed to bright light. What additional types of protection should I consider? If you worry about light, including harmful UV, leaking in through sides or top of your sunglasses, wear a broad-brimmed hat to reduce some of this exposure. If you use prescription eyewear to correct your eyesight, you may also want to think about getting a pair of UV-blocking contact lenses in your prescription. Ask our Doctor's about Acuvue contact lenses by Johnson & Johnson. These lenses may be worn alongside a non-prescription pair of sunglasses for optimum eye protection. Check out some helpful tips on protecting your eyes. Sunglasses aren't the only thing that protect your eyes, learn about what foods, vitamins and contact lenses can!